This post is brought to you by Glad. Freshness, wrapped up. 2. I hate for anything to go to waste, so I always send my dinner & party guests home with leftovers and goodies to enjoy later. Did you know that each Thanksgiving Americans throw out around $282,000,000 worth of turkey? Yep. I cringe at the very thought, folks. 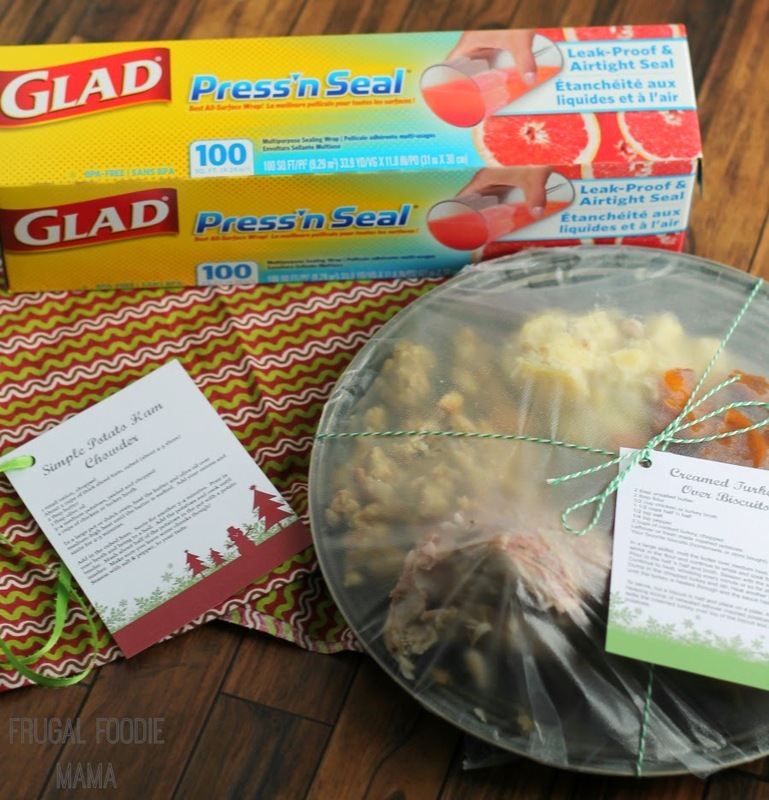 If you happened to gasp as well at reading that number up there, then you will love the fun little solution I am sharing with you all today to help reduce food waste this holiday season. You can ask your dinner guests to bring a plate from home, or you could pick up an assortment of plates at your local thrift store for cheap. 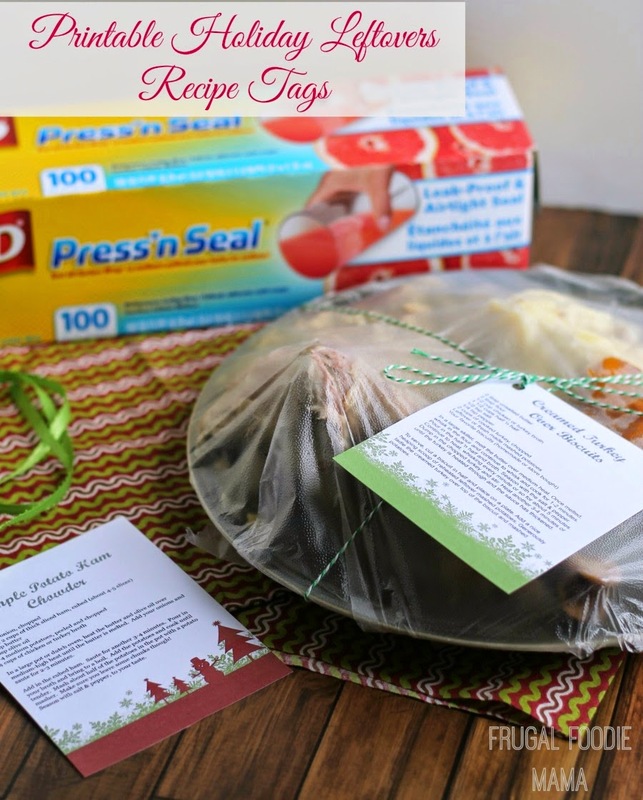 Then simply plate up the leftovers, wrap tightly with Glad Press N’ Seal® Wrap, and then add a holiday leftover recipe tag using some pretty ribbon or baker's twine. 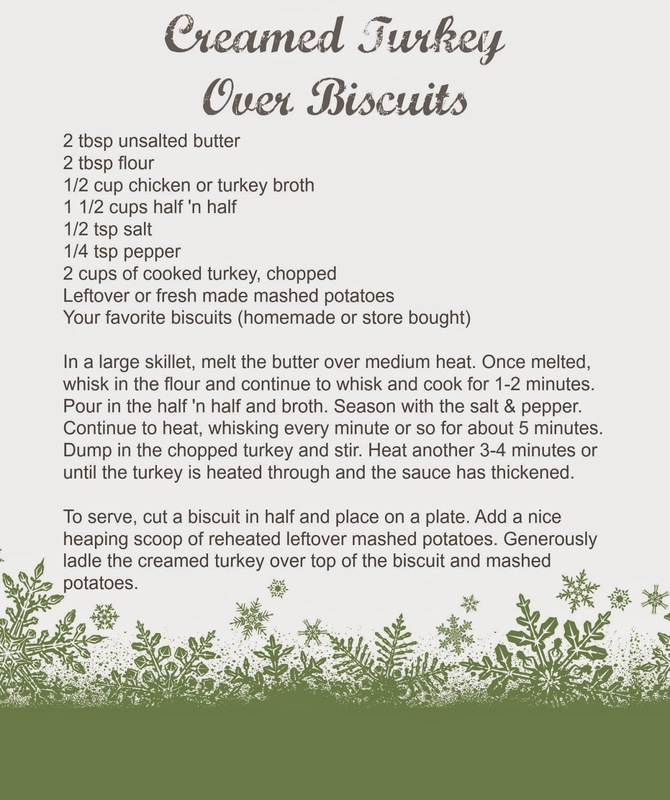 I created two different holiday leftovers recipe tags for you all- a Creamed Turkey Over Biscuits recipe for that leftover holiday turkey, and a Simple Potato Ham Chowder for leftover holiday ham. 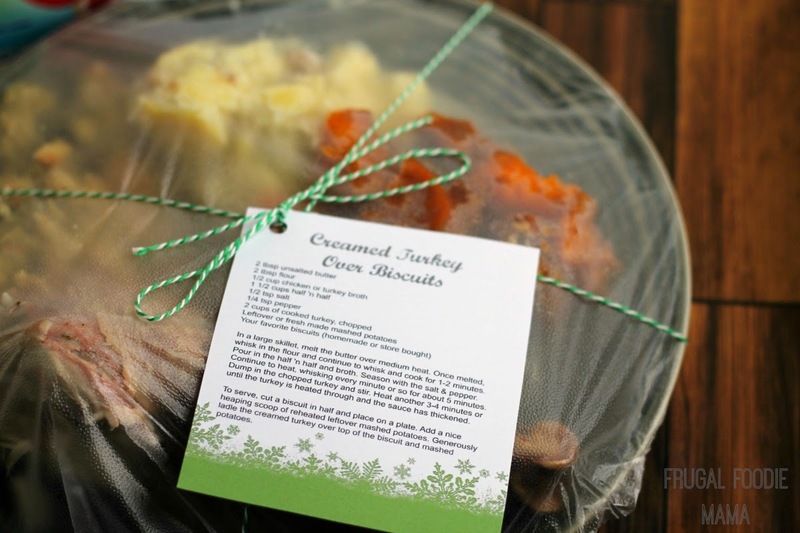 I suggest printing the recipe tags on card stock and using a hole punch so you can tie them onto the plates. Do you often host family and friends for holiday dinners and get-togethers? 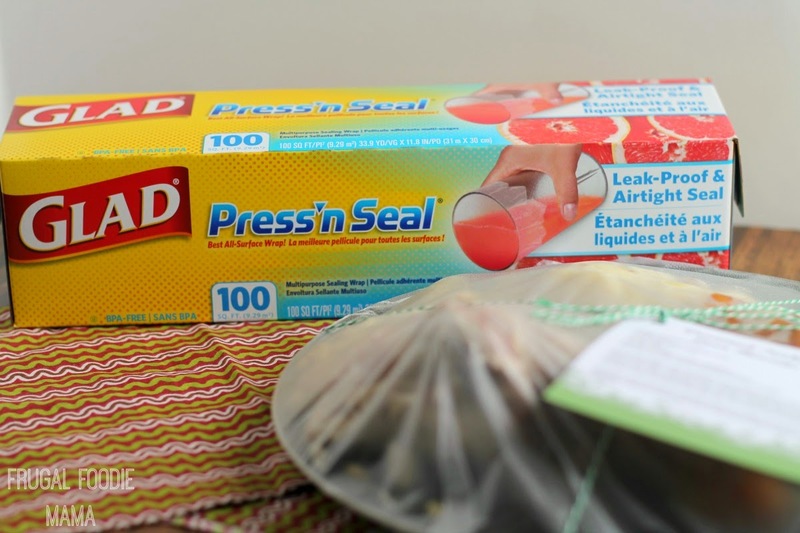 How do you plan to keep Freshness Wrapped Up for the Holidays this season when hosting holiday dinners and parties? 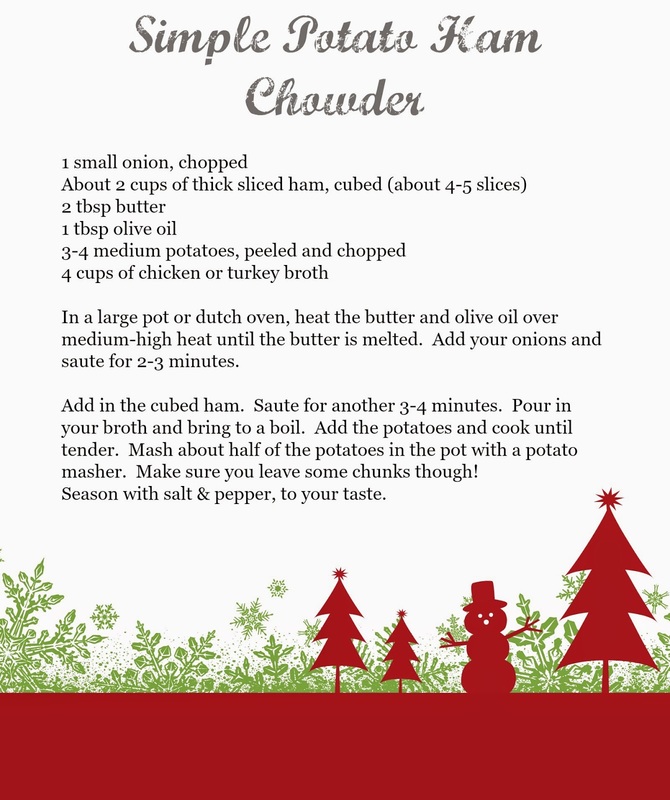 Click HERE to print the Holiday Leftovers Recipe Tags.